The 2018 coach of the year for Berkshire is Paul Comina of Harlequin Bowman and is recognise by his club members for his dedication to archery within the club, for his coaching and his support to both Senior and Junior members. He has transformed coaching at Harlequin. This year’s championships will be held on Sunday 21st July at the Berkshire County Sports Club, Sonning, RG46ST. The Coaching Group will support the event by actively organising this year’s tournament. If you're free on either Saturday 20th of July in the afternoon or Sunday 21st of July and would like to volunteer to help set up the field on the Saturday it would be very much appreciated. Please note that on Sunday we need field party members, runners, help with refreshments, first-aiders or people to organise the raffle. 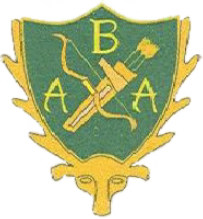 Please email the County Coaching Officer CCO@berkshirearchery.co.uk to offer help.